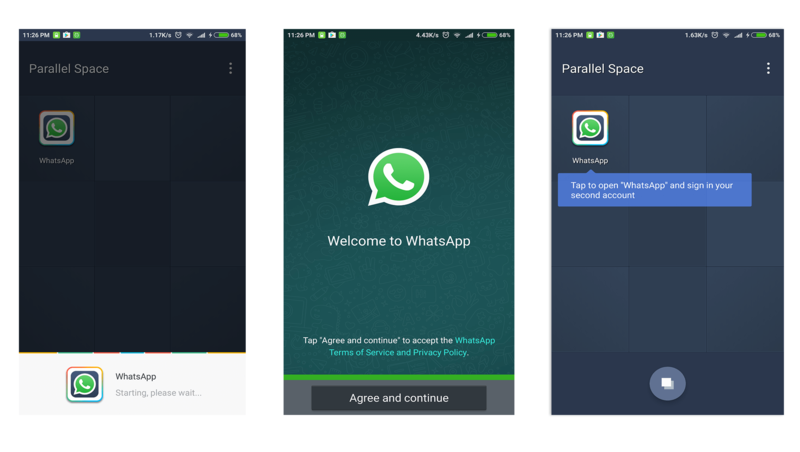 How to use two WhatsApp accounts in single phone without rooting : Whatsapp became the most used Messaging service nowadays, it’s because of many reasons like free of cost, easy to use interface and compatibility with Major Mobile Platforms like iPhone, Android, and Windows phones. By Default you will be able to use only one WhatsApp account in one device it applies to all Mobile Platforms as well. But Users who use Dual Sim Smartphones would be really happy if they have the option to run two WhatsApp accounts in a single phone. Main reason for people to buy Dual sim smartphones because they can manage the business and personal contacts without any hassle. But still, they will be able to use only one WhatsApp account even if they have dual sim phones. We can expect WhatsApp to release an update that has an option for users to use two numbers at the same time in a single device in future if they receive a lot of feedback requests from users. 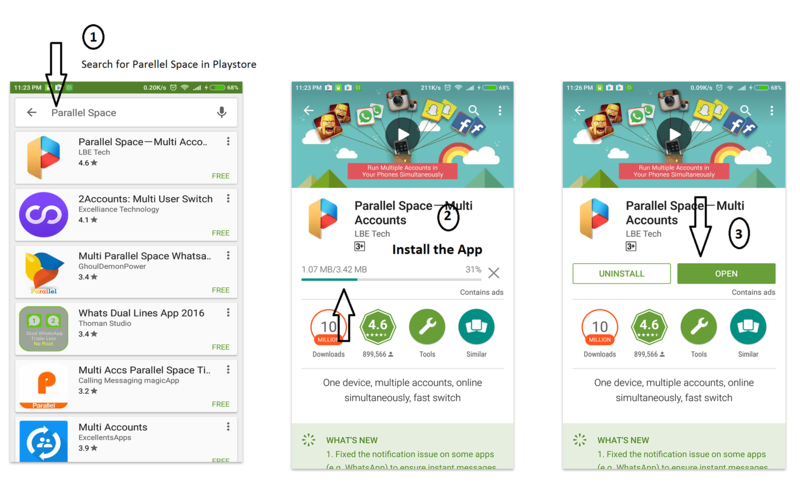 This is Possible by Installing an Application called Parallel Space over 20 Million users are using this app and it supports 24 Languages. It will let you use most applications with a different account, which means you can use two WhatsApp accounts, Viber accounts, and Facebook accounts simultaneously. 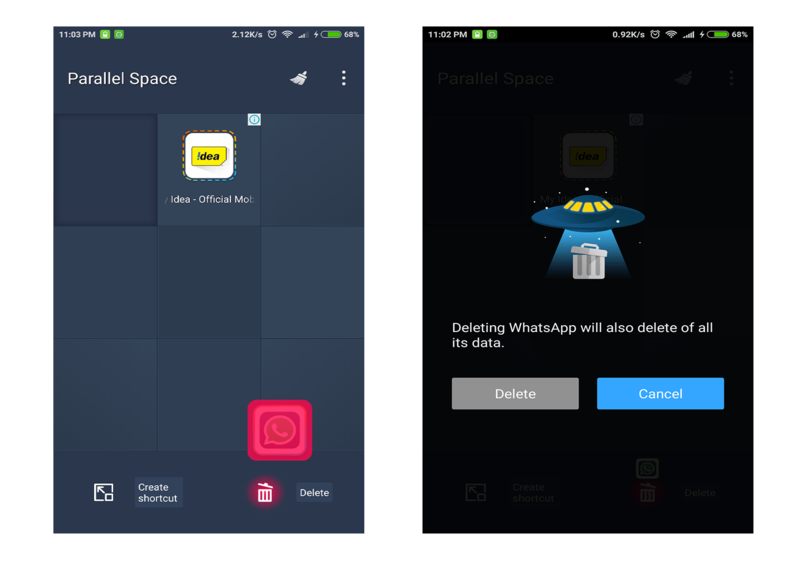 Every app has its own advantages and disadvantages, Using Parallel space you can run dual accounts, many applications are supported by Parallel Space like WhatsApp, Viber, Facebook, and Snapchat etc… But the Notifications alerts will not be as live as an Original application which is bit disadvantage of using this app. 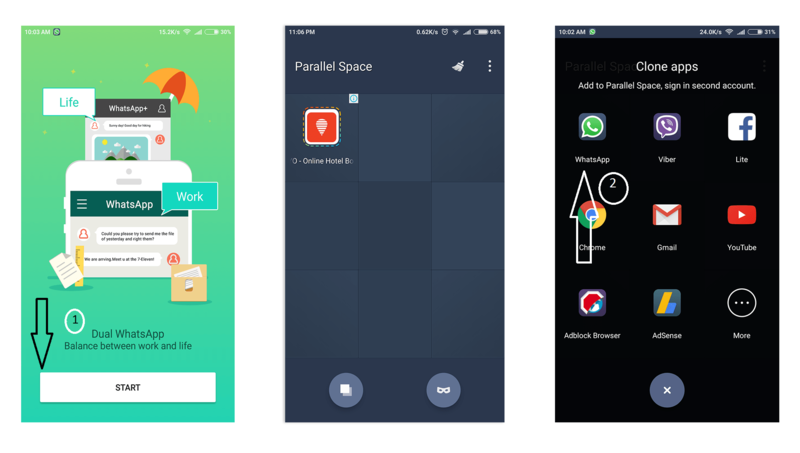 If you’re using Xiaomi MI Devices (Mi3, Mi4, Redmi devices) The Latest MIUI 8 ROM allows you to Run Dual accounts by default using a feature called Dual Apps, Other methods also available in Internet on how to use two WhatsApp accounts in a single device but most of the tricks involves rooting of your mobile. So far the method I have shared is easy to use and doesn’t require many steps. If you know any easier method than this please feel free to share via the comments section.